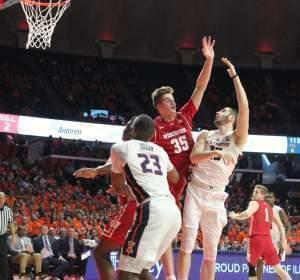 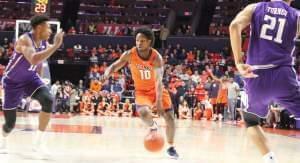 The Illini men's basketball team beat Northwestern 81-76 Sunday night in Champaign. 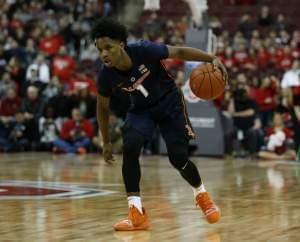 The Illini men's basketball team won its fourth straight conference game, beating Ohio State 63-56 last night in Columbus, Ohio. 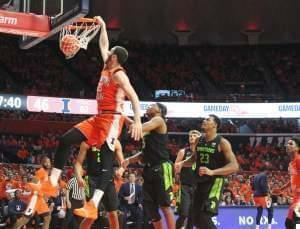 CHAMPAIGN, Ill. (AP) — Freshman big man Giorgi Bezhanishvili scored a career-high 35 points — 29 of them coming in the second half — to lead Illinois to a 99-94 overtime win over Rutgers on Saturday. 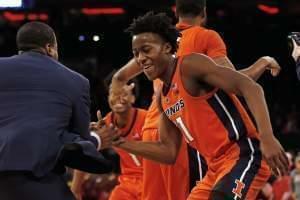 Ayo Dosunmu hit back-to-back three-pointers, breaking a tie game with two-and-a-half minutes to go, sending the Illini men to a 79-74 win over 9th-ranked Michigan State Tuesday night in Champaign. 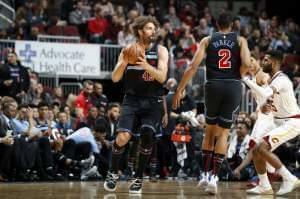 In a testament to the enduring power of Tom Brady and Bill Belichick, the New England Patriots emerged victorious in Super Bowl LIII for the team's sixth championship victory since 2002, with a 13-3 victory over the Los Angeles Rams. 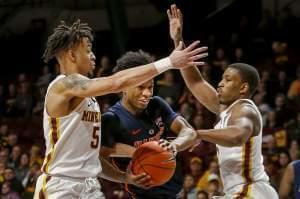 Ayo Dosunmu scored 20 points to help the Fighting Illini (6-14, 2-7 Big Ten) snap a two-game skid by handing the Terrapins their second straight conference loss. 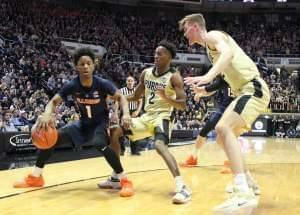 Tevian Jones had 18 points, and Andres Feliz had 15. 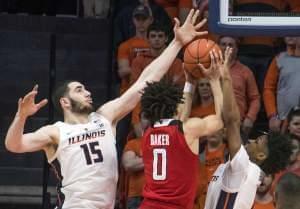 The Illini men lost their 14th basketball game of the year, and their fourteenth straight to the Wisconsin Badgers, 72-60 Wednesday night in Champaign.